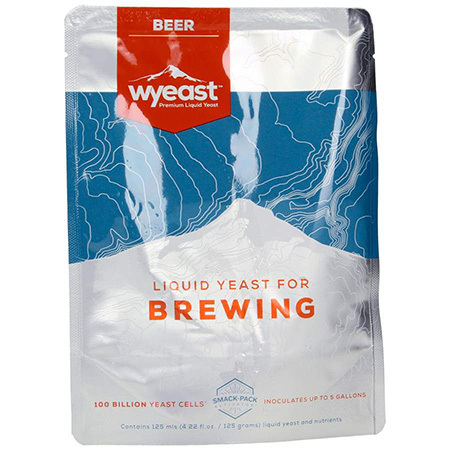 Wyeast 1056 - American Ale: Crisp and very clean, this American yeast strain has little fruitiness and some mild ester production. Extremely versatile for a wide range of styles that desire dominant malt and hop characteristics. Makes for an exceptional "house" strain. With cooler fermentation temperatures, it will develop slight citrus notes - 60-66°F (15-19°C). 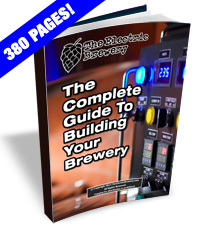 Beer Styles: American Amber Ale, American Barleywine, American Brown Ale, American IPA, American Pale Ale, American Stout, Braggot, Brown Porter, Christmas or Winter Specialty Spiced Beer, Cream Ale, Dry Stout, Imperial IPA, Irish Red Ale, Smoked Beers, Russian Imperial Stout, Strong Scotch Ale, Wood-Aged Beers. This is the famous Sierra Nevada Chico yeast strain found in beers across America. It produces well balanced beers with low diacetyl and a very clean, crisp end palate. Also sold as White Labs WLP001 California Ale and Fermentis Safeale US-05. For a comparison of these strains see our US-05 vs WY1056/WLP001 tests.